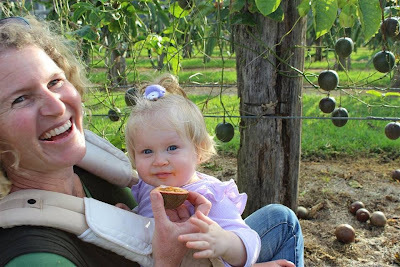 John Picone's Orchard - Perhaps Best Home Orchard Ever. At the end of the day, we were all feeling happy and well fed. We were also very sticky and we left Johns orchard trailing the scent of fresh passionfruit behind us. Rollinia in the tree - they are beautiful fruits. Mammy Sapote - a stunning architectural plant with great fruit - but they are not yet ripe so we missed out on these. Grandilla Passionfruit - weighed at least 1kg, huge and very tasty. Pauline with a red dragon fruit. Katie and Amalie enjoying panama red - pandora passionfruits. We all left Mr Picone's orchard feeling very happy, very sticky and covered in the sweet frangrant juice of the passionfruits. Yummy. What is your favourite fruit to eat straight of the tree/vine? 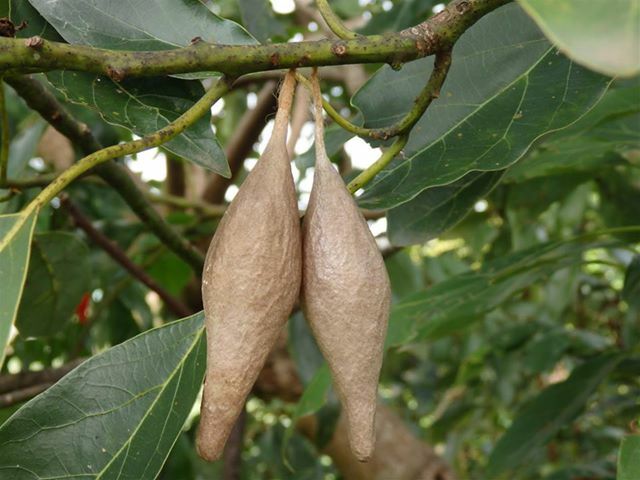 Strange Fruit - We found these hanging in our avocado tree, can anyone guess what they are? 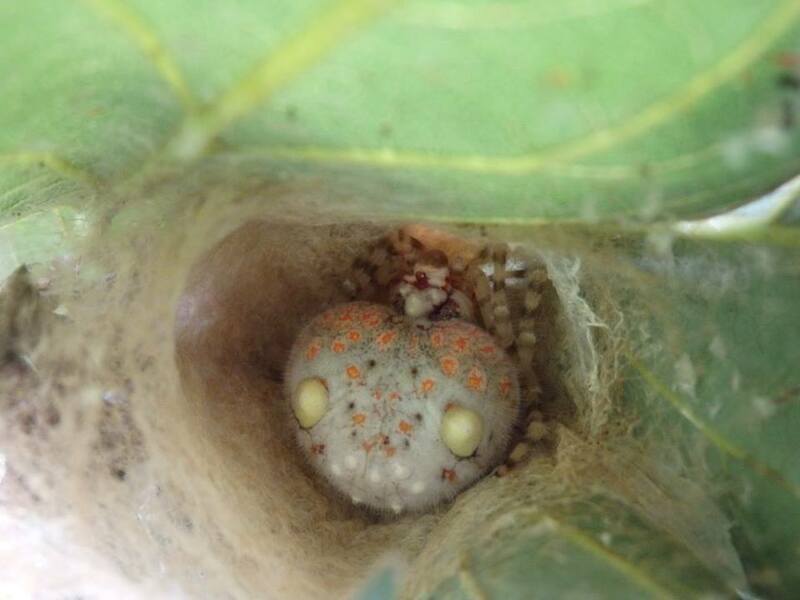 If you find the unusual egg-sacs of the Magnificent Spider you will find the female spider nearby. Here is the resident of our avocado tree. She spends the night hunting for moths of army grubs and she uses a bolas, a line of sillk with a globule of sticky silk on the end to catch them. She is magnificent. Matt Allworth roughly how big? Toni Park Army grubs are a real pain. For people who like their lawn army grubs feast on the roots of grasses and slowly but surely kill off your lawn. Advanced Freight Options: Which Freight Company should you Choose? Summary of page: Choose the delivery company that you know and trust. Do you know your courier companies driver? Is one company quicker or more careful? 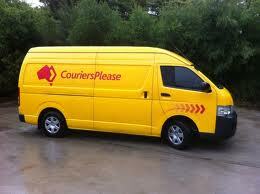 Couriers Please is usually the cheapest option but the delivery can take a little longer. Remote Customers and first time users please be aware: Couriers please often works with Australia post so they will deliver to the closest depot to your address and then they will onforward ( pass it on to ) Australia Post who will then either deliver it to you or leave it in the Australia Post office for you to pick up there. You need to expect this to happen if you have not seen a couriers please van delivery in your area. 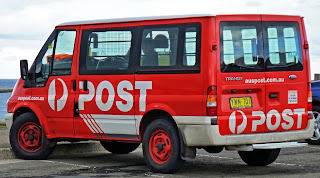 Australia Post Is the only courier that allows PO BOX, PARCEL LOCKER, PARCEL COLLECT etc.. Is tried and tested but often leaves plants at their post office regardless of the delivery instructions to leave at your address. It all depends on your local postman if they usually deliver to your home you can expect this parcel to be delivered in the usual way as well. The max parcel size is 90cm so plants are always cut back to this size unlike the other courier companies. Sendle Couriers: Deliver using either Couriers Please or Fastways and in some situations they will on-forward to Australia Post or another local delivery agent. There is no way to know which courier company is used. They choose on your behalf. Sendle will supply you with track and trace information via their website and can only be contacted online but not via phone. 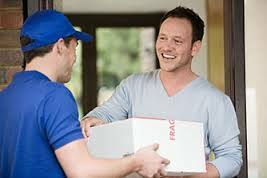 Toll: Often good for remote addresses and depending on your delivery driver will often deliver to your door. They can also take larger parcel sizes so ideal for advanced fruit trees. 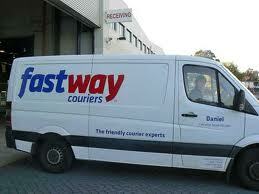 Choose the courier company that you have used before and are happy with their service. If you choose the cheapest one please understand there may be delays especially if you live in a remote area. If you choose a courier that does not deliver to you an example is Parcel Locker, PO Box or address that this courier does not visit and is returned to us you will need to cover the cost of this freight plus the cost of re-delivery even though the delivery did not arrive at your address. This is another reason why it is so important to only use a courier you know and trust. If you just use the default cheapest courier you might find that your plants are held up in a depot location vastly further away than others. The safest option is to select a courier company that has delivered to you in the past that way you know how they operate and where they leave your parcel. For example you might know that Australia Post leave it at a post office that you visit so it is better to choose them than another courier company you have never used before. Please understand that even though you have entered delivery instructions the courier company may not drive to your rural or remote address and they will likely handle your delivery in the same way they do other deliveries to your address. 1. Add plants to your shopping cart. 2. Enter your postcode and select your suburb. We try to get all our couriers to leave the package at your address if possible to reduce them going back to a depot or post office. Therefore the words "ATL - Authority to Leave if not home" are included on all our parcels and you can not edit this. The location where to leave is defaulted to "at front door" at the checkout. You can change this to anywhere that suits your home. Eg. On Left hand verandah. At Front gate in the shade. Just try and keep it simple and concise. If your address can not be verified with google maps then the only courier company that we can deliver your order with will be Australia Post. Please note that Australia Post may be more expensive than door to door courier companies and it is the Australia Post rate displayed when you entered your postcode that you will be charged for freight. 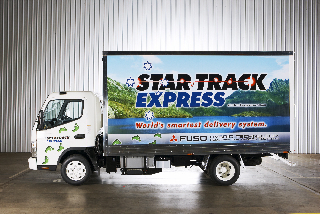 Not all delivery companies can delivery to all addresses.